mBot Add-on Pack Interactive Light & Sound is a 3-in-1 pack based on mBot. You can construct "Lighting Chasing Robot", "Scorpion Robot" and "Intelligent Desk Light" with mBot and the components in this pack. Each one has infinite possibility. To experience the magic of mBot in the changing light and sound. mBot six-legged robot is a 3-in-1 expansion pack based on mBot. You can construct "Beetle", "Mantis" and "Crazy Frog" with mBot and the parts inside the pack. The mBot six-legged robot makes mBot more vivacious and enjoyable. Let's get your six-legged robot move! The Neeuro Senzeband is an EEG headset that enhances your cognitive abilities. Thanks to the Memorie app, you have over 15 different brain training games ready to use. In addition, you get an accurate record of the development of your brain. As soon as you start the exercises with the app, you should already be wearing the neo-neuro in order to be able to follow the progress of the training and the effort of the brain. Cognitive skills such as focus, memory, decision-making, visual-spatial skills, and responsiveness are the basis for children's mental abilities. Regular brain training can lead to better school performance as the child is more attentive in learning improved problem-solving and language skills. The SenzeBand is certified (FCC, CE, RoHS and REACH certificate) and safe to use. For years, brain-tracking technology has been used safely and reliably in hospitals and research facilities to better understand the human brain. The SenzeBand measures your brain activity and your mental states without sending electricity or electromagnetic waves into your brain. For whom is the Senze band suitable? The Neeuro Senzeband not only teaches you brain training based on mental exercises, but also helps you to understand your mind during exercise. 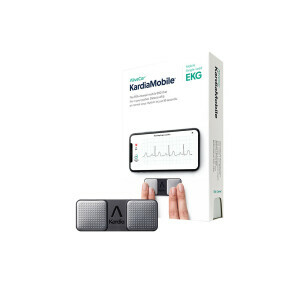 The Neeuro has a built-in brain wave sensor that detects your mental condition and shows you whether your mind is responding positively to your workouts. Neeuro Senzeband helps you train your mind even better. Neeuro Senzeband detects if you are getting enough concentration during the exercises. They can track your attention and thus control even better and identify which visual and auditory things distract you. The mind works better when in a more relaxed state. By looking at your relaxation levels, you can understand how different mental stimuli or environments affect your training. When our brain has problems, our mental burden is increased. Track your mental load and see if existing workouts sufficiently stimulate the mind. How does Neeuro SenzeBand work? While you are listening to the Sentence Band, low frequency signals on the forehead are picked up by four individual sensors and give us four individual feedbacks of brain signals. The brain signals are within the ranges of 0.5 to 100 Hz with amplitudes in the range of microvolts. The frequency of these frequencies shows the brain states of a user. Senzeband measures and assesses the user's mental state in real time and helps you control your brain. Download the Memorie app from the Apple App Store or Google PlayStore. Currently, Memorie can only be downloaded on Apple and Android tablets and mobile devices (Android - Samsung Galaxy Tab4, Grade 10.1 and above / any Android device with Android OS Lollipop 5.0 and above, Apple Tablets - iPad) Gen 3, iPad Mini, iPad Air And Higher, and iPhone 5 And Higher, Launched On iOS8 And Higher). Make sure the Bluetooth feature on your tablet device is turned on. For iOS and Android devices, go to Settings & gt; Bluetooth. Click the power button to turn on the SenzeBand. A static green light indicates that the SenzeBand is on. A red light indicates that the battery is full and needs to be charged. Open the Memorie application and create an account or log in to your account. Go to Settings in the application & gt; If & gt; & gt; Add a new one and follow the instructions to connect to your SenzeBand. Make sure your forehead and SenzeBand's sensors are clean. It is recommended to use non-alcoholic cleaners. Place the SenzeBand on the forehead and make sure the sensors sit about 2 to 3 inches above the eyebrows. Excessive placement of the sensors on the forehead may result in inaccurate measurements or unstable connection. Adjust the rear reference sensors so that they fit securely behind both ears. To make sure the connection is set up correctly, go to Settings & gt; in the Memorie app. Run and set the SenzeBand until all four indicators on the application are green. This means that the sensors on the SenzeBand have a good signal when reading your brain waves. Have fun! with your SenzeBand! MindSync acts as a control center where DIY robots and devices are synchronized with the Neeuro SenzeBand. With this setup, you can use SenzeBand and MindSync to easily control your robot or other devices through your brainwaves. Neeuro's SenzeBand is a brain wave sensor that detects a user's focus levels. 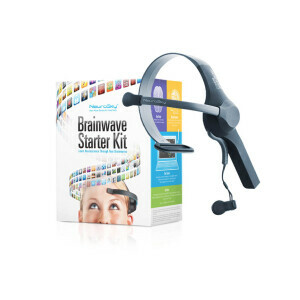 Integrate your brainwave technology with programmable gadgets to create innovative inventions. Combine brainwave technology with programming, STEM training and robotics. The possibilities are endless, from mind-controlled robots to assistant robots tracking your focus levels. second Set up the robot - code your robot or microcontroller so that its actions can only be controlled with your brainwaves. micro: bit is a microcontroller that can be integrated as a communication device, game console and even into complex systems. micro: bit is suitable for primary and secondary schools. With the Makeblock drag-and-drop programmer, students can easily program the mBot with standard or custom codes to make learning easier. The mBot is suitable for secondary schools. LEGO EV3 helps make, program, and control LEGO robots better, faster, and more interesting than ever before. The EV3 is suitable for the tertiary range. For which age is the Senze band suitable? The Senzeband is basically suitable for all ages. The Neeuro in conjunction with the mBot robot is great for students. The Neeuro is of course also usable without the mBot. Through the various compatible apps you can control what you want to train and who trains. There are apps designed specifically for children and apps designed specifically for adults. Whether you want to help your child, that it can concentrate better and has more fun learning, or whether you yourself want to cope with your everyday stress to go through life relaxed, here is really something for everyone. Even seniors are well looked after with the Neeuro, if they want to stay mentally fit. Compared to other EEG headsets, the Senze band is a bit more expensive - why? For one thing, it stands out very clearly that you can connect the Neeuro Senzeband to the mBot robot, and so children have even more fun learning and concentrating. The Neeuro Senzeband also includes much more than the usual options of other EEG headsets. There are numerous apps that are tailored to each age group. It is ready to use and compatible with all devices. The processing of the Senzebands is very high quality. The electrodes are made from a unique formulation that is highly conductive and measures your EEG signals very reliably. How many sensors does the Senzeband have?